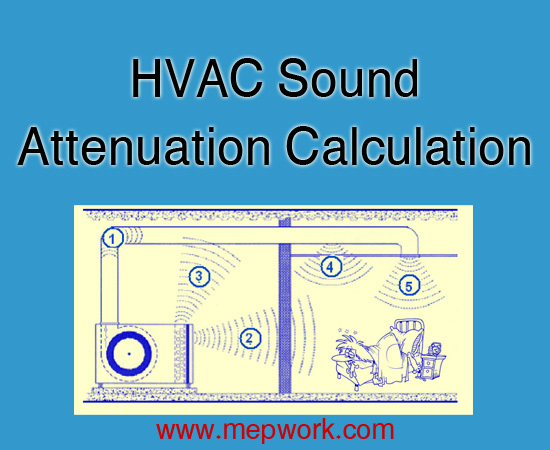 Spreadsheet for HVAC systems noise and sound attenuation calculation. This excel sheet calculates the noise attenuation for air ducts in air conditioning and ventilation systems like air ducts, VAV boxes, air terminals (diffusers), etc. Noise has a strong negative impact on working efficiency and general feeling of occupants. Damages to the central nervous system, deafness and other ailments are threats to persons working in noisy environments. We attached a free excel sheet for sound attenuation in HVAC systems, download it for free from the above link. Sound attenuators are designed to attenuate noises of fans and air conditioning devices in ventilation and air conditioning installations.